Keeping your urine in your bladder for too long is a bad idea. A full bladder can cause bladder damage. The urine that stays in the bladder multiplies bacteria quickly. Once the urine refluxes back to the ureter and kidneys, the toxic substances can result in kidney infections, then urinary tract infections, and then nephritis, and even uremia. When nature calls – do it as soon as possible. You should eat no more than 5.8 grams of salt daily. Caffeine is a component of many sodas and soft drinks. It raises your blood pressure and your kidneys start suffering. So you should cut down the amount of coke you drink daily. Our kidneys should be hydrated properly to perform their functions well. If we don’t drink enough, the toxins can start accumulating in the blood, as there isn’t enough fluid to drain them through the kidneys. Drink more than 10 glasses of water daily. There is an easy way to check if you are drinking enough water: look at the colour of your urine; the lighter the colour, the better. 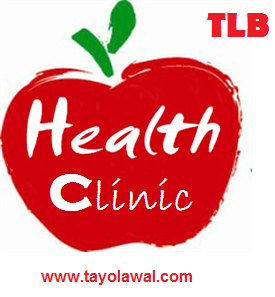 Treat all your health problems properly and have your health checked regularly. Let's help ourselves. Always remember; irrespective of who you are, what you do or where you from, you deserve the very best in life just like every other person. Stay healthy, Stay wealthy. Health is wealth they say. Tayo Lawal loves you and yours! stay blessed.